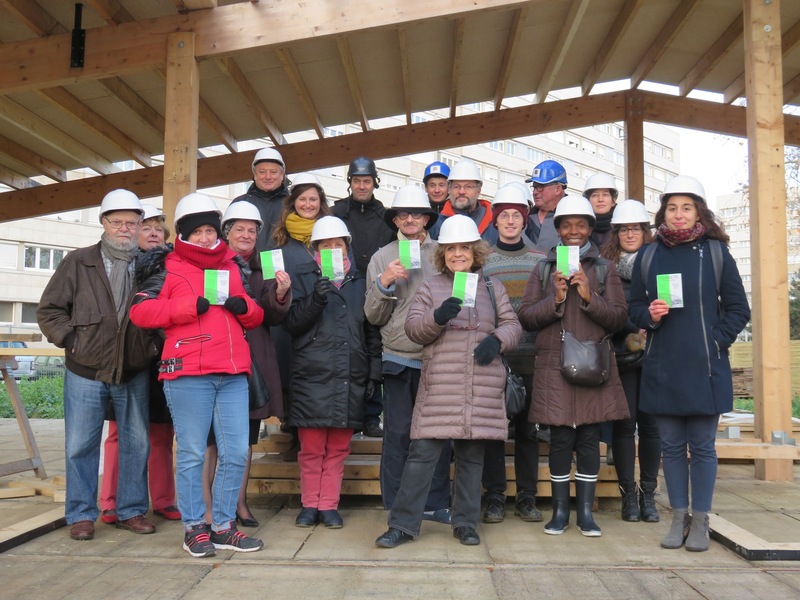 The reconstruction of the Agrocité in Gennevilliers is ongoing. Rialland Carpenter entreprise already stood up the structure on its stakes, installed the floorboards, posts and beams and part of the roofing! We received the straw bales that will serve for insulation and many curious inhabitants stop by on their way by to ask if there’ll be also animals at the farm. Yes! Worms and Hens!